A research team from Massachusetts Eye and Ear and the Massachusetts Institute of Technology has shown that immune cells in the eye that developed in response to early exposure to bacteria are a key contributor to progressive vis8/9/2018ion loss from glaucoma, the second leading cause of irreversible blindness in the world. The findings, published online in Nature Communications, suggest that high pressure in the eye leads to vision loss by setting into motion an autoimmune response that attacks the neurons in the eye—similar to immune responses triggered by bacterial infections. The discovery of these immune cells also reveals a promising new target for future therapies to be developed for the blinding condition. "Our work shows that there is hope for finding a cure for glaucoma, or even preventing its development entirely, if we can find a way to target this pathway," said co-senior author Dong Feng Chen, M.D., Ph.D., a vision scientist at Mass. Eye and Ear and associate professor of ophthalmology at Harvard Medical School. "Current glaucoma therapies are designed solely to lower eye pressure; however, we've known that, even when patients with glaucoma are treated and their eye pressure returns to normal, they can still go on to have vision loss. Now, we know that stress from high eye pressure can initiate an immune response that triggers T cells to attack neurons in the eye." These findings shed light on a process that largely has remained a mystery until now. Glaucoma is a group of eye conditions that often culminate in irreparable damage to the optic nerve, which transmits visual information from the eye to the brain. Elevated eye pressure is known to be the most important risk factor for glaucoma, however, little was understood as to how and why patients with high eye pressure go on to develop permanent vision loss. Furthermore, some patients with glaucoma do not have elevated eye pressure, and some patients still experience optic nerve degeneration and subsequent vision loss even after their eye pressure is under control with treatment. 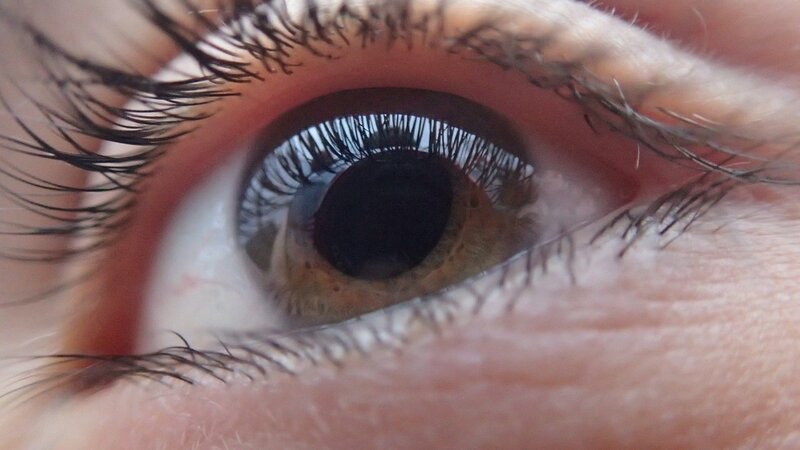 The authors of the Nature Communications study observed a new mechanism to explain the series of events leading to permanent vision loss from glaucoma. When pressure in the eye rises, it induces the expression of heat shock proteins, a family of proteins that develop in response to stressful conditions. This leads to a response from immune cells—memory T cells—that are programmed to respond to heat shock proteins. The memory T cells attack the neurons of the retina, leading to degeneration of the optic nerve and often permanent loss of vision. T cell responses are essential in the development of progressive vision loss following elevated eye pressure. The research team observed an immune response to heat shock proteins both in mice and in human patients with glaucoma. The team first detected T cells in the retina of a mouse model of glaucoma, which motivated experiments to determine if the T cells played a role in neuron loss. The team studied three groups of mice with glaucoma—some without T cells, some without B cells, and some without T or B cells. Overwhelmingly, they observed a loss of neurons in the mice only if the mice contained functional T cells. More strikingly, development of glaucoma-inducing T cells required early exposure to bacteria; mice never exposed to bacteria (being raised in a "germ-free" facility) were free from glaucoma under elevated eye pressure.